Info:These pogs all feature teams from the NFL (National Football League). 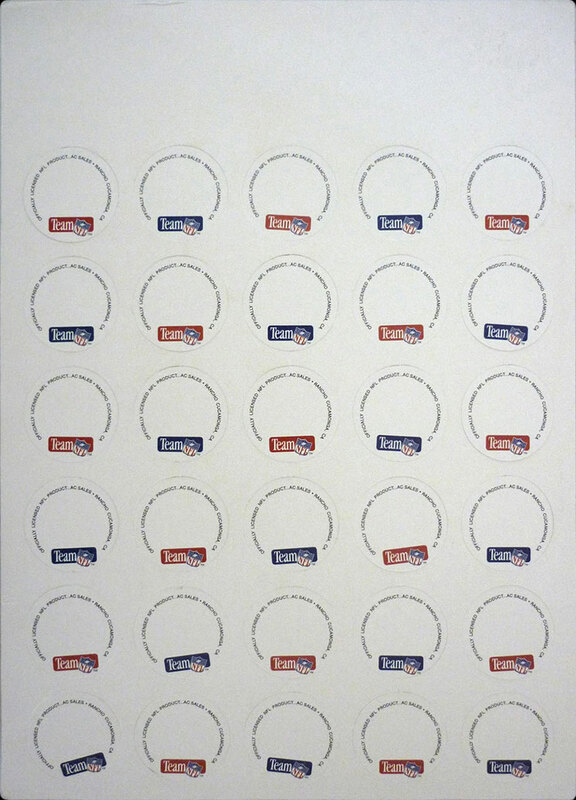 Each one has the team colours, and an image of a football helmet with the team's logo on it. At the bottom it lists the main achievements (if any) of the team. On the reverse it has the Team NFL logo, either in red or blue. 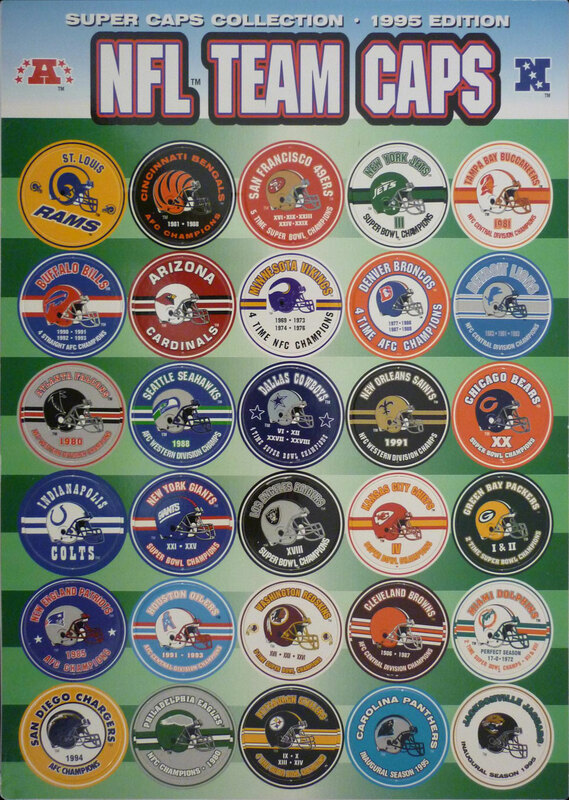 Round the edge it says Officially licensed NFL product AC Sales · Rancho Cucamonga, CA .